Normally this is where I explain our design ethos and motivation for an announcement. Not today. Don’t get me wrong–Jude and I are certainly excited about Subjective3. But this is an oddball release. It all began two years ago, when our mechanical engineer, Nick, needed an equalizer for a side project. Our prototype lived on a shelf until another audio company requested a 3-band EQ later that year. “Lucky!”, I thought. The prototype only needed a mechanical update to reach production standards. 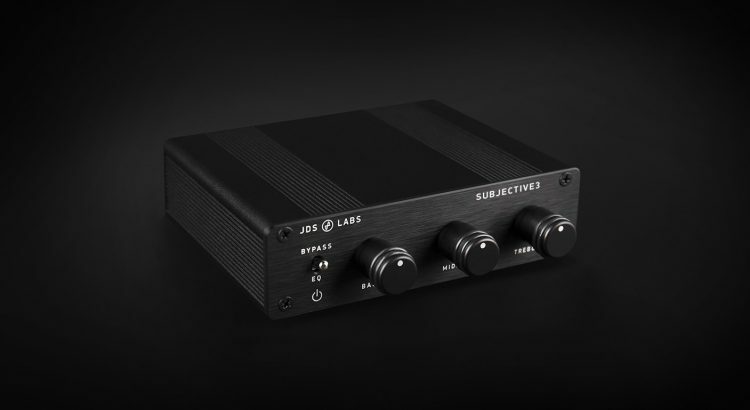 It was agreed we’d release the EQ at both their site and jdslabs.com under unique branding, so JDS Labs submitted a small production batch last July. The market shifted just as the boards were arriving, so I advised killing the plan, no strings attached. Instead of releasing as planned, we shared the boards as do-it-yourself-kits at a bottom-dollar price. Then we understood that the real mistake was cancelling our plans. Those who have built the DIY EQ love it, and we’ve since received continuous requests for a fully-assembled version. I once told a visitor that the successor to Objective2 would be called Subjective3. He laughed and replied, “Please don’t!” I agreed it was a terrible name for a JDS Labs amp. But for an equalizer with 3 bands, Subjective3 is fitting. For those who enjoy benchmarks, the measurements below were conducted on our Prism dScope Series III. The IMD and THD+N tests were conducted with all knobs set to their neutral (center) positions. You may choose to apply additive equalization (knobs above center), or subtractive equalization (knobs below center). While Subjective3 performs with low noise, subtractive equalization is generally preferred. In order to utilize the full range of equalizer controls, your amplifier must be able to accommodate input levels +15dB higher than that of your source. For use with an Objective2 amplifier and 2VRMS DAC, set gain to 1.0x gain if you choose to apply additive equalization. 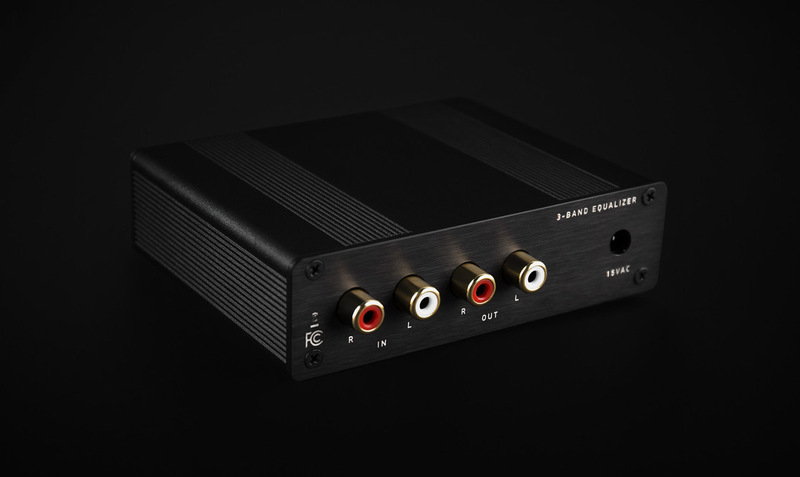 If you need to use a stronger DAC or higher amplifier gain, simply use subtractive equalization. Again, this means only setting knobs below their center point. The Subjective3 is now available for $99 USD. Looks great, considering getting one. What happens to THD and IMD once you start turning the knobs? Hey Nick, equaliziation is intentional distortion, so THD rises as knobs are turned, by definition. Neutral position is the simplest way to study the impact of the EQ on the signal. Of course, if you are curious what EQ distortion looks like, I don’t mind sharing more screenshots. This, lets say, equalizer, is extremely accurate. When you add bass or any other button for more emphasis of frequencies, it sounds as if you added amplification. This means that the purpose of the filters are very precise and add punch. Also, it is very quiet, it doesn’t adds any distortion or any other noise. These engineers here do really know how amplification and equalization works! I thought, ah, just another equalizator. Wrong, this works as if it has 20 buttons!